The burgeoning legal marijuana industry has a glass ceiling but it seems loftier and more easily broken than traditional industries. 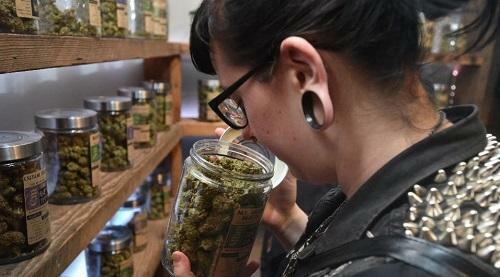 Women have moved into the marijuana industry in impressive numbers, making up a large segment of both customers of the product and the entrepreneurs producing it. One study showed that women make up 36 percent of the executives in the marijuana industry, with the numbers especially high in cannabis testing labs, marijuana infused-products businesses and ancillary cannabis ventures. Against that backdrop, women in the cannabis industry from around the country plan to come to Los Angeles on July 22 for the Cannabis Business Women’s Empowerment Summit.